The high art involved in the spirit of the haiku called "Shōfū" that Matsuo Bashō established has been handed down by his many followers even after his death. The haikai that were extremely popular in the Edo period were called the haikai-renga (linked verse) which branched from the renga developed since the middle ages and referred to the general name of forms of hokku (opening verse) and renku (other sequence of linked verse). This was literature performed by highly playful and humorous groups. 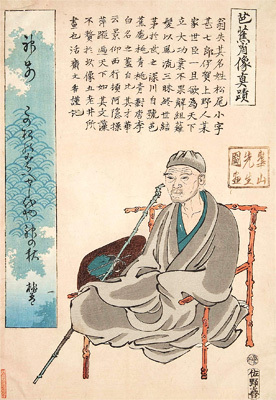 However, Bashō gave independent life to the hokku of the haikai-renga and many people came to appreciate only hokku, leading to the original form of haiku established by Masaoka Shiki in the Meiji period. After Bashō died, Yosa Buson and Kobayashi Issa were influenced by Bashō-developed haikai, and its popularity was still high all throughout the Edo period. In this sense, we can say that Bashō's accomplishments were immense.